I figured out that a hashtag must be in the Description to be searchable. 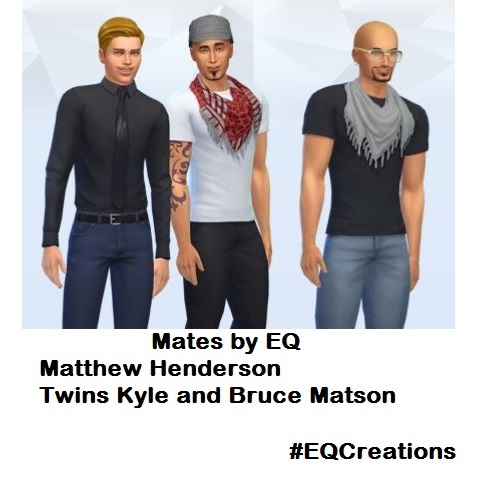 A search for #EQCreations should bring up most of my creations. 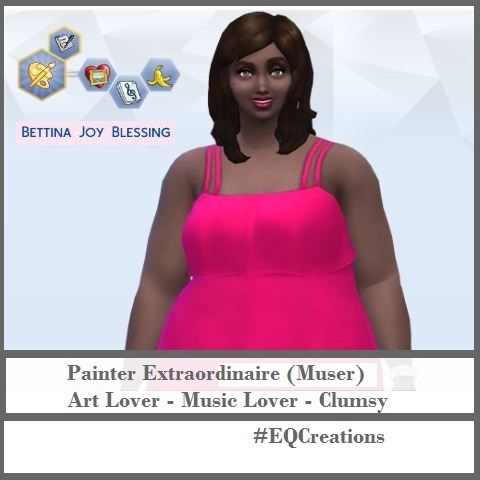 You can also search by Origin ID EuphorialQueen in the gallery. So far the Gallery is only accessible from inside the CAS Demo but I am not certain how this will work once the game goes live. 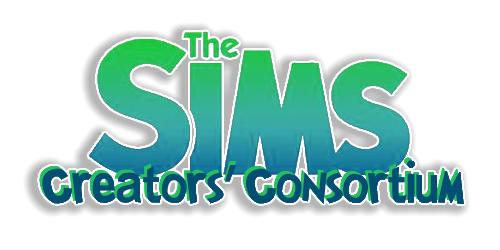 This thread will be to show images of what I am playing about in the CAS Demo. Flora has a Nerd Brain which makes her a Quick Learner. She has a Bro attitude and is Self-Assured and Neat. 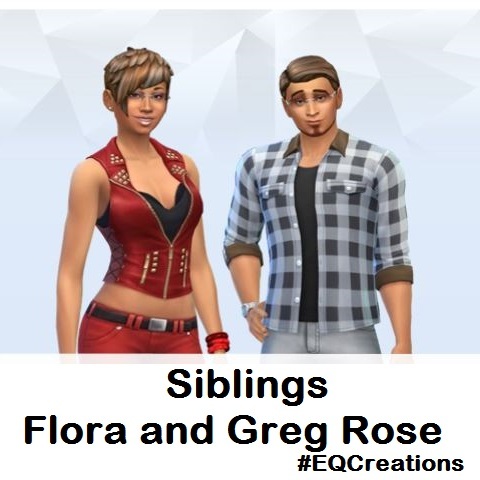 Her brother Greg is Looking for a Soul Mate (bonus Alluring). 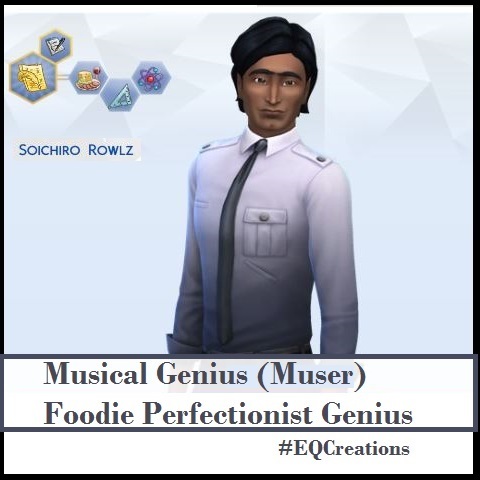 He is a Music Lover and Creative as well as Family Oriented. 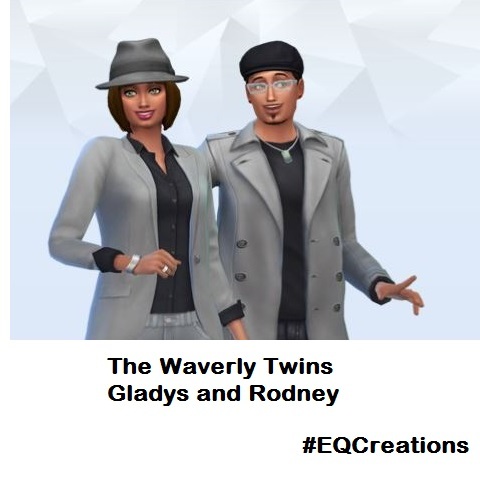 My new avatar is Gladys Waverly from The Waverly Twins Gladys and Rodney. Matthew is a go-getter and he is ready to go get as much money as possible. But at what cost? 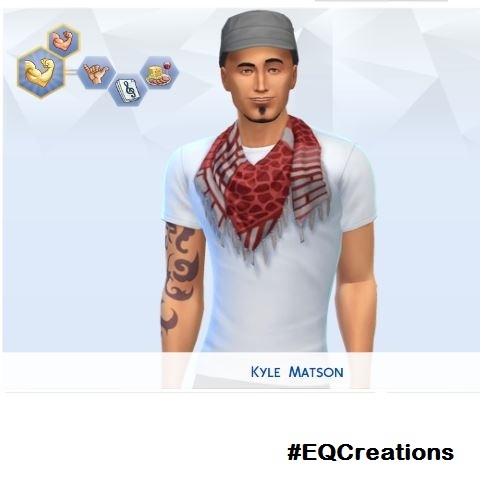 Kyle keeps fit but still loves his food. 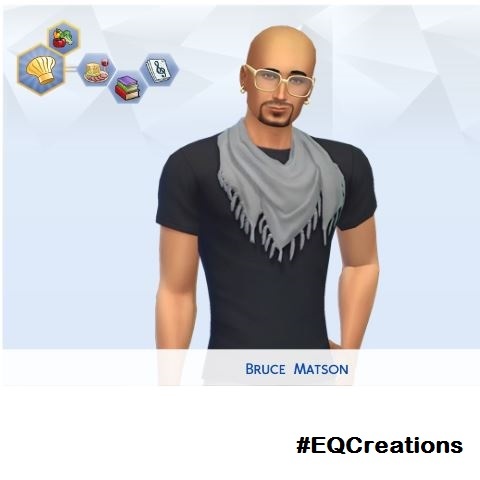 Bruce plans to turn his love of food into a career. 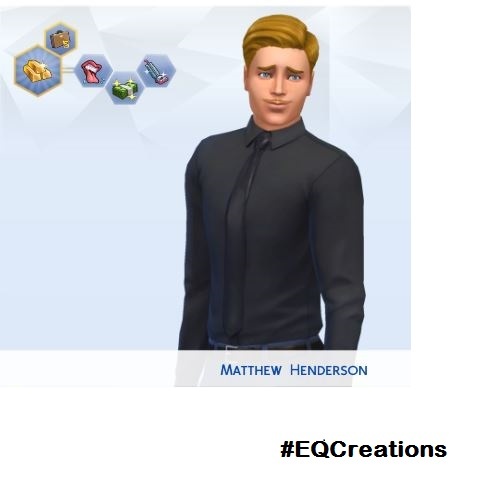 Matthew Henderson Fabulously Wealthy (bonus Business Savvy) Mean, Materialistic and Neat. 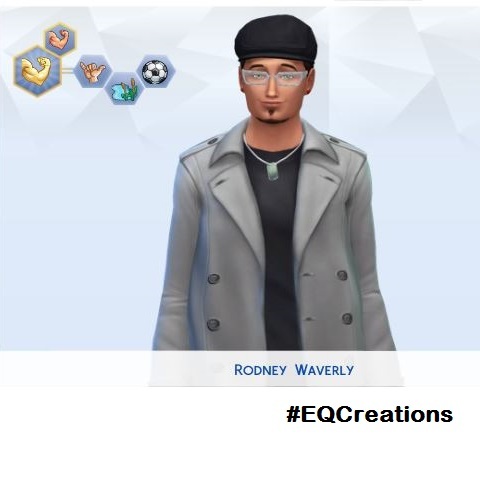 OK, did you all get the CAS demo or is MW doing avatars for you all? Well, I am jealous. A lot of folks here got it. Pretty darn cool! Just got mine after several days (seemed like weeks )of waiting. Kept refreshing my emails and signing out of Origin and signing back into Origin. Then the email magically appeared! They are doing a slow roll out but eventually everyone should be able to get a copy. I added your Mates household to my library and left you a comment. One thing I haven't figured out yet: Is there an official Sims4 forum, where I have to register? You Sims are terrific! I must find out how to get pictures of what I create. 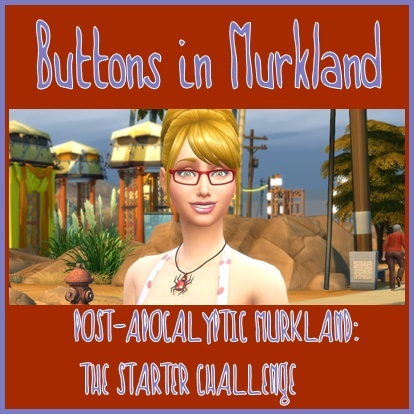 There is an official forum but not like the Sims 3 forum. 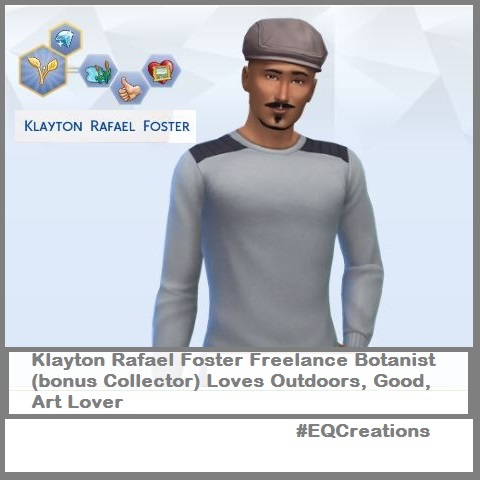 Once registered at EA you are automatically registered for all forums at the EA.com site. That is tricky at the moment. Have not found a screenshot picture function in the demo. I am using the Snipping Tool on my computer then opening in Paint to Edit and resize. Make sure Origin is updated daisy and make sure you're allowing email notifications from EA and Origin. 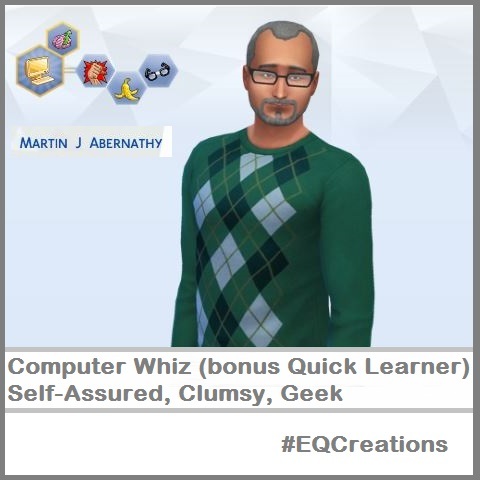 Like your latest TS4 Sims too, EQ. Haven't figured out how to download a Sim, yet. I'm have trouble finding where to access my profile so I can have my creations read 'by Gramcrackers' instead of 'by you'. That's what I'm seeing. 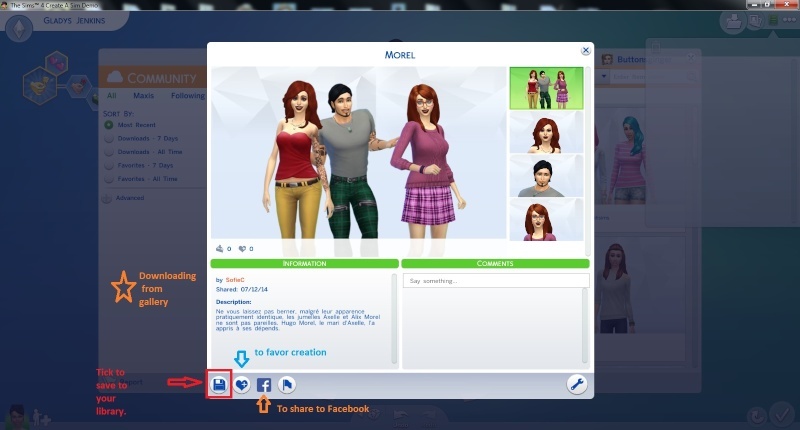 I went to EA Help to ask about the screenshots ( I haven't be able to get in game screenshots to show up in Paint for months- it used to work ) and why aren't my creations showing up in my library when I save them, and how do you download ( tried some actions that didn't work ). I assume the downloads go into your Demo Library? I'm frustrated enough for today. Going to take a breather from it all. Thank you MW and BG. Tomorrow is another day. You can save to your library from the top of the screen. (also the checkmark at the bottom of the screen allow you to save to your library also) This will bring up a window. Be sure to tick the icon on the bottom right to save to your library. That saves them to your library. They should show in your library tab in the gallery. Two more for my library. Bettina popped up in Pink (random roll) so I decided that would be her signature color. 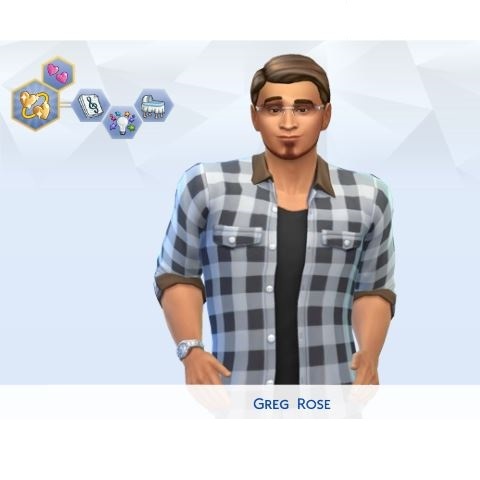 You may have noticed I seem to gravitate to grey and black on the other Sims. Trying to make myself not get in a rut by using other colors. 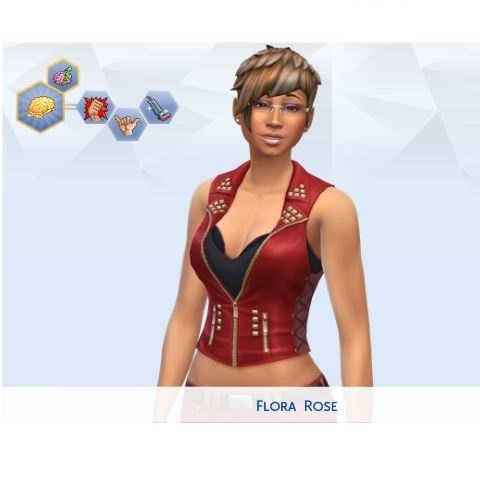 Has anyone figured a way to keep hair or make-up looks? I was just a tiny bit frustrated after choosing just the right set of make-up items to have them all go away with the next outfit. Same with hair. Changed the default hair style to the one in the picture under long and wavy. Switched from everyday to another style and her hair want back to the default. I have been frustrated by that too. If you bring up the makeup and then tick the little green arrow where it says filter items you do get an option for Outfit Category. The only options there are for everyday and formal. 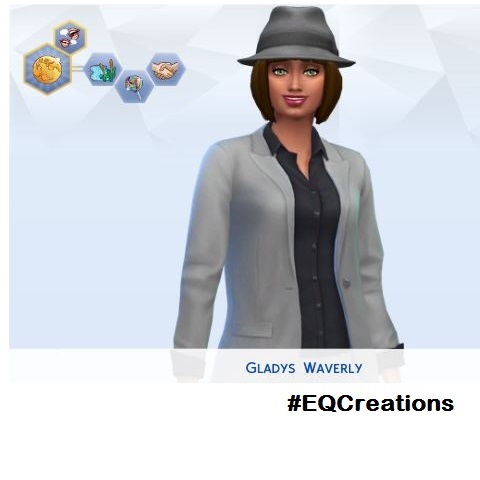 Nevermind....that just changes the makeup types that show in the sidebar....doesn't stick to the outfit. I find it frustrating to have to make it for each outfit ...unless I want to, know what I mean?? Have you posted your concerns on the official Sim 4 CAS Demo feedback forum? I guess there is no make up for sleep and athletic wear. Don't know if the creators thought it would be unhealthy for your sims skin to wear makeup on those occasions. It's only stupid people like me, who likes to look nice for my husband in the evening. And I don't want everyone to see my wrinkles when I go jogging either. Same swimming, I always wear mascera in public! Personally I do not wear make-up because just never learned how to do it right. My Sims do though and it take me a long while to get the look I want. So I just X'd out the option to filter by category and it then lets me select whatever I want. It is a very fast moving thread.